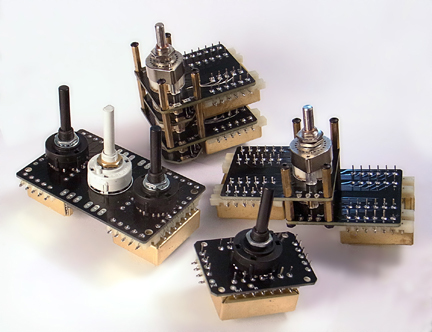 Stereo 23 Position Autoformers With Balance Control. 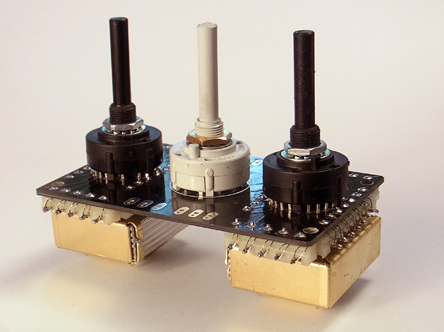 Two of the 23 position autoformers are placed on a single board with a "penalty free" balance control between them. 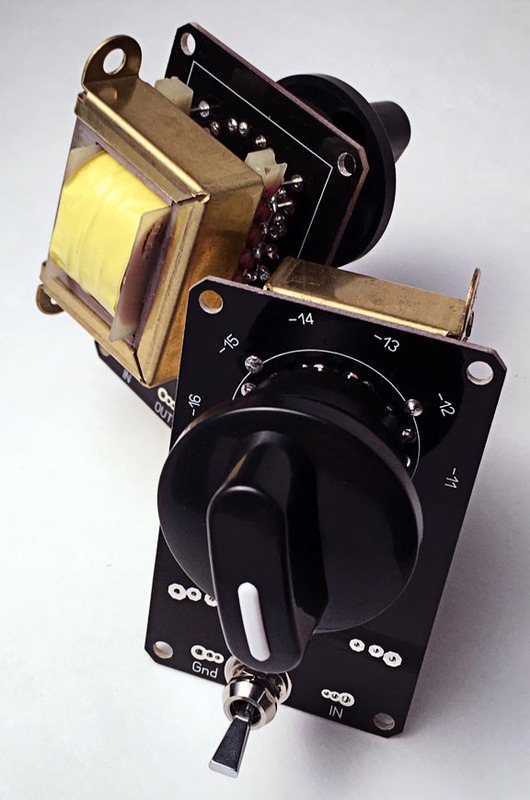 Each autoformer step is 2.5dB and the balance control allows for a 1.25dB shift to the left or right. Maximum attenuaton is 52.5dB. They measure 2.5" X 4" and are 1.8" deep. 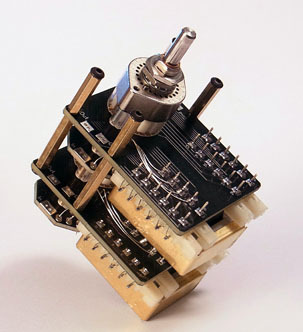 Pictured above is our first off the shelf device. 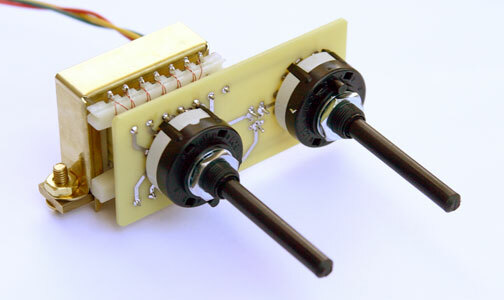 It is intended as a high bang for the buck entry into the magnetic volume control arena. 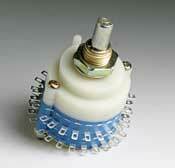 It allows attenuation from 0dB to -42db in -3dB steps. It has an 80% nickel core, all brass hardware and sounds every bit as good as our custom units. 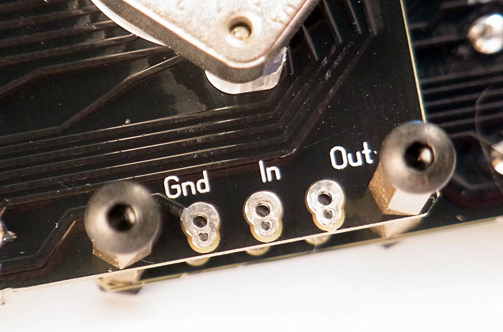 For more information please check out the FAQ, Wiring Directions and visit the Forum. The Demand for more positions and finer attenuation steps has brought about a second product. 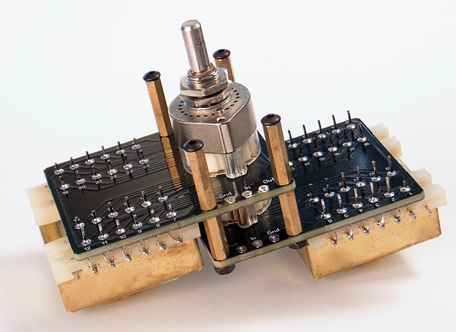 This device has 28 steps and provides attenuation from 0dB to -52dB in 2dB steps.This uses a similar approach as the $200 kit but has a 28 pin bobbin in place of the 14 pin. When wiring this device to a switch with fewer than 28 taps you simply assess your gain structure and choose the appropriate steps. 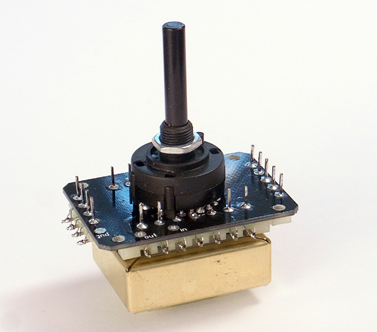 These turn-key tapped units make a perfect replacement for resistive L-pads. They allow for a 10.5dB attenuation range in 0.5dB steps. 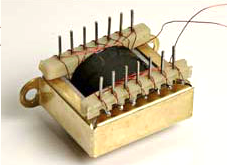 The 49% nickel core can handle an 18V input singal at frequencies above 100hz. The nature of an autoformer transforming the excess voltage into current drive makes this an ideal solution for matching driver efficiency. For those of you who need a bit more control or a special taper, we can offer the perfect MVC to fit your needs. We can help you choose between transformer and autoformer and help you select the proper values of inductance and attenuation to best fit your system. Please check out the $200 autoformer FAQ and join us on the forum to discuss your needs. Please note that the leads of the custom volume controls should not be cut under any circumstances! Price: Starting at $400 a pair.